In 1951, a Stanford Alumni Association committee, headed by Mary Curry Tresidder of Yosemite National Park, began looking for a site for a Stanford alumni camp. Mrs. Harriet Craven (class of ’23) was operating the Fallen Leaf Lodge, what is now known as the Old Lodge, and offered to set aside some of her summer bookings as “camp” time. Established in the summer of 1953, Stanford Summer Camp at Fallen Leaf Lodge quickly became popular – approximately 5,000 Stanford alumni, family members and other guests attend each year. After operating under this arrangement for six years, the Stanford Alumni Association purchased the Fallen Leaf Lodge in 1959, and Stanford Sierra Camp was born. In 1960, a week for an adult guest cost $55.00, and in 1962 the weekly fee was raised to $65.00. The facilities were simple and rustic, allowing Camp to keep prices incredibly low. However, spurred by new laws requiring all sewage to be exported from the Lake Tahoe Basin, the Stanford Alumni Association Executive Board quickly recognized the need to modernize Camp’s facilities. A master plan for redeveloping and modernizing the Camp was conceived in 1968; construction began in the fall of 1969. Camp’s building program was widely acclaimed by guests, alumni, governmental agencies, and conservationists. The expansion of the facilities allowed Camp to add the spring and fall conference seasons in the early 1970’s. Initially limited to only a few groups per season, the conference program has become a large and integral part of the Sierra Camp operations. The summer program has become more popular than Camp can even accommodate. Selling out since 1988, Camp serves over 3,000 Stanford alumni, faculty, staff, their families and friends each summer. In 1998, the Stanford Alumni Association Board of Directors voted to merge with Stanford University. 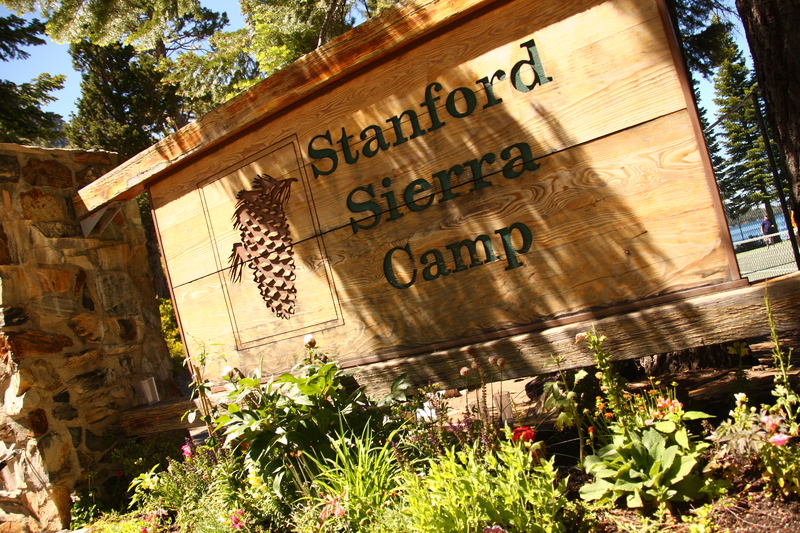 In this merger, Stanford Sierra Camp became Stanford Alumni Association Sierra Programs, a Limited Liability Company owned by Stanford University.